Customized ink based on blue hydrangea flowers. Washington, D.C. — I recently finished up a small wedding suite which included 26 invitations, with accompanying RSVP cards and envelopes. The invitation design included a monogram with the motif of clarinet (the groom) and percussion mallet (the bride), illustrated and produced each time by hand. 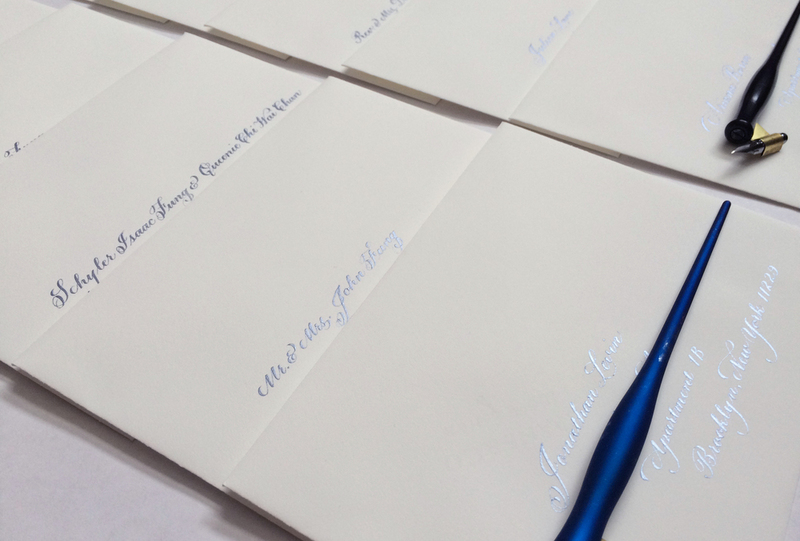 To add a bit of specialness to the invitations, I created custom-made Pearl Ex ink to complement their wedding colors of blue and white hydrangeas. With a vase of blue hydrangeas before me, I made several attempts at mixing light violets, blues, and micropearl Pearl Ex pigments to achieve the hydrangea ink. When I held the paper up to the light and the ink gave off a nice subtle sheen of periwinkle, I knew I finally got the right balance. I don't know what it was, but I really enjoyed the Frankenstein-ish aspect of this process. It was very gratifying experimenting with different hues to create an entirely new color. It reminded me of trying to make new Crayola colors by overlaying one crayon color on top of the other, which usually didn't turn out as well on paper as it did in the mind. 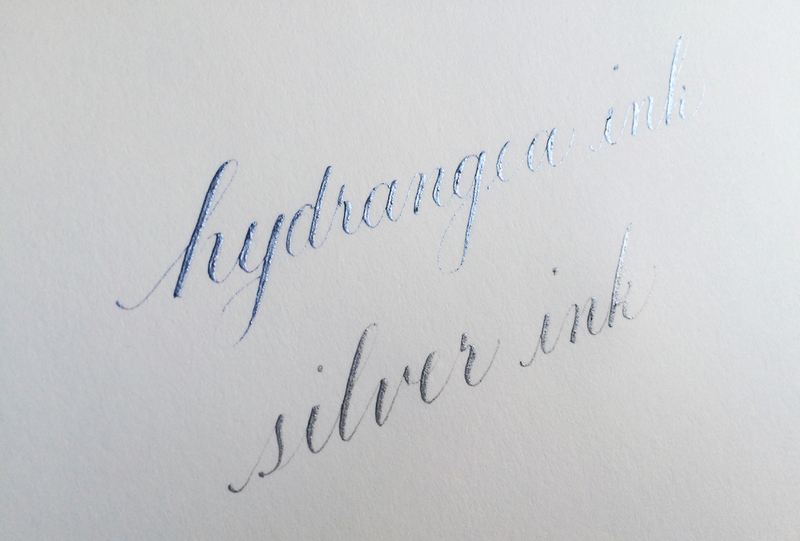 The soft sheen of blue: the hydrangea ink on the wedding envelopes.